US equity indexes closed broadly higher, sp +16pts at 2599 (intra high 2601). The two leaders - Trans/R2K, both settled higher by 1.0%. 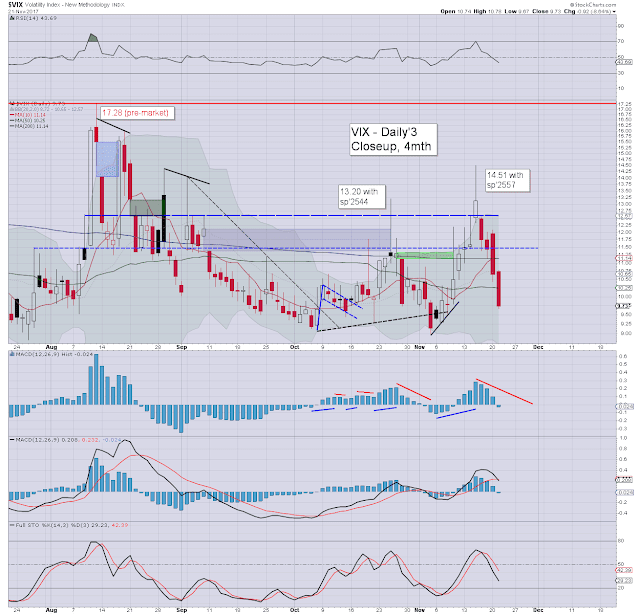 VIX settled -8.6% at 9.73. Near term outlook offers subdued price action across pre-Thanksgiving Wednesday and the Friday half-session. 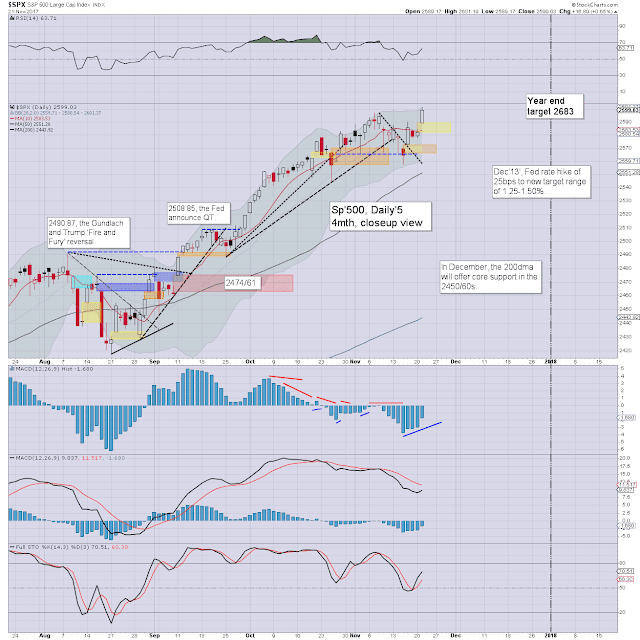 The original year end target of 2683 is just about within range. US equities opened moderately higher, and built broad gains into the afternoon. 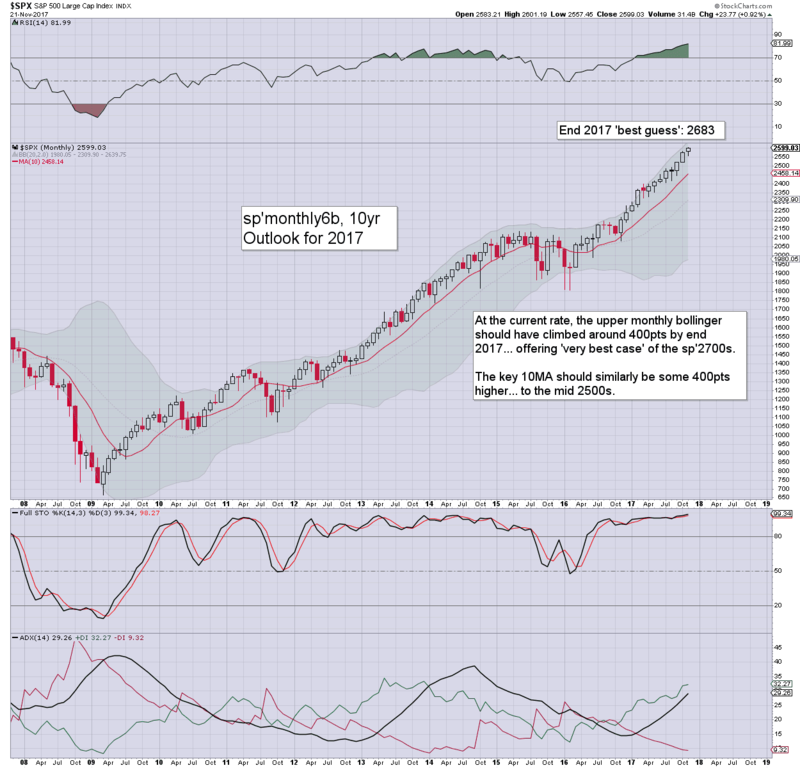 There was a quartet of new index hist' highs in the sp'500, nasdaq comp', dow, and r2K. Market volatility was naturally ground lower, with the VIX settling lower for a fourth consecutive day in the mid 9s. 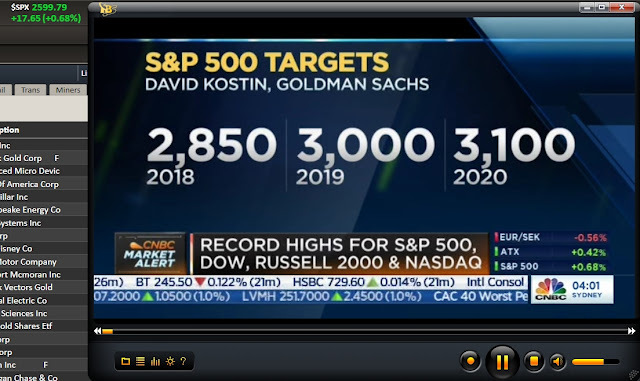 Today's high of 2601 was just 82pts (3.2%) shy of my original target, a number that was derided by everyone at the start of the year. If commodities break upward (look for CRB >197s), then 3k will be seen within spring 2018. But hey, few want to hear that. ... but you won't. Click back to zerohedge.com or cnbc.com, as fast as you can.